On 20th January 2017, the municipality of Leiden officially opened the entrance viaduct and the adjacent pedestrian and bike tunnels. karres+brands won the competition to redesign the entire entrance area in 2014. The assignment includes the larger Plesmanlaan, the main viaduct and slow traffic tunnels. 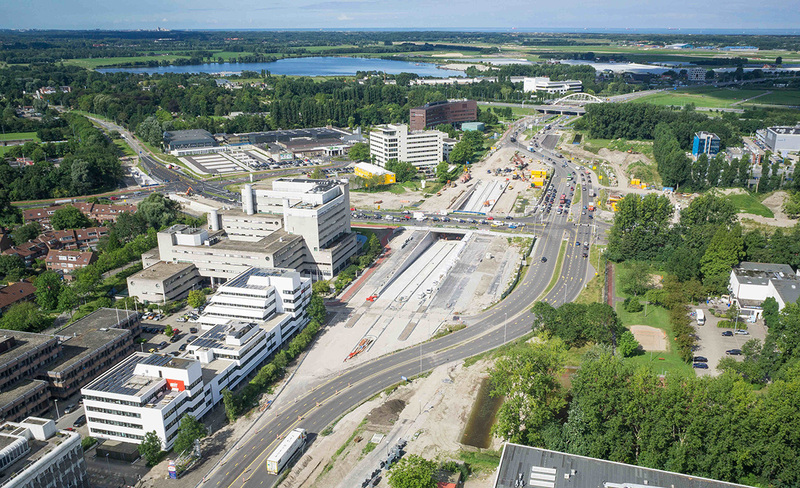 Together these interventions form a generous new entrance to Leiden and the Bio Science Park. 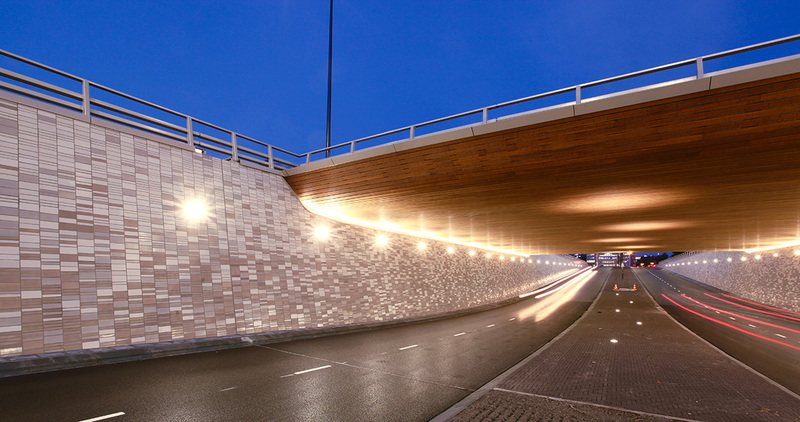 Designed together with ipv Delft, the underpass is open and full of light, and allows for an almost seamless continuation of the green Plesmanlaan. 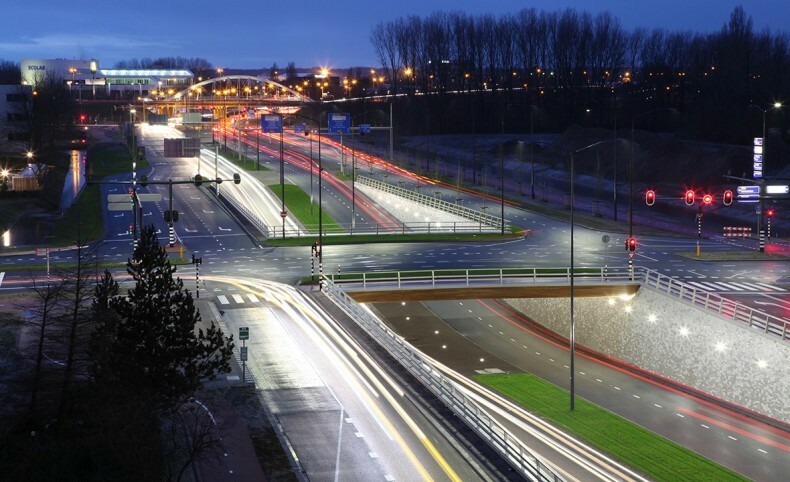 This becomes a single, coherent boulevard, a recognizable and appealing approach to the center of Leiden from the A44 motorway. Covered in bamboo composite the column free span bridge, rests on the slightly inclined walls of the tunnel. This gesture opens the views to the surroundings and maximizes the amount of daylight in the underpass. The walls are clad by a rich tile pattern referring to DNA profiles.